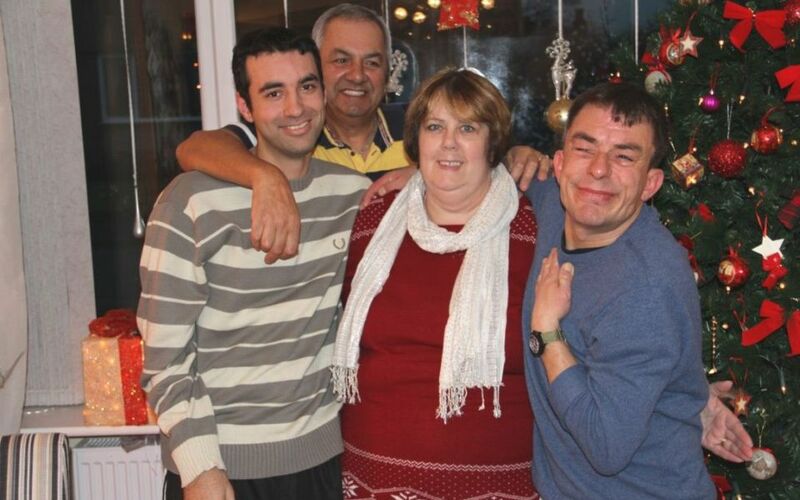 Carol and Pedro Durandt offer support to both Andrew and Michael, as Shared Lives carers, a scheme which provides vulnerable adults the chance to live with families or individuals who can offer support and encouragement so that they can live as independently as possible. Andrew, who is 47, has lived with the Durandts for around 5 months whilst Michael has at least five hours of support during the week. Andrew said that he really enjoys living with the Durandt’s, is really well looked after and has become part of the family. Volunteering at Witton Park for 24 years, Andrew works across the park, including the new Witton Park Arena. Shared Lives also offers Andrew, Michael and other adults in need of support a chance to enjoy a stable and fulfilling home and social life, making it easier to enjoy activities within their communities, such as ‘Sliding Doors’, a social event held every Thursday 6.30pm until 8.30pm at Blues Bar, Ewood Park which brings carers and those they care for together to meet old friends, make some new ones and socialise. It is fantastic that families carers such as the Durandt’s help adults such as Andrew and Michael through Shared Lives, and they are exactly the type of carers the scheme is looking to recruit. Becoming a Shared Lives carer and welcoming someone into your home can make a real difference to the service user’s life. I would encourage anyone interested in the scheme to get in touch by calling 01254 585899.